Every Christmas, my sister and I would go crazy buying different boxes of mince pie from different stores in search for that perfect pie. This all started when we tried our very first bite about six years ago in Winchester, England. Needless, to say we both feel in love with this delicious Christmas pie and ever since then, the quest for the perfect mince pie was on. So this Christmas, I am making these little darlings in hopes that it will bring back those fond memories of the time we spend in Winchester. You can dress up your mince pie anyway you like really. For me, I have always loved mine, mini and star topped. Just because it looks so cute and festive and also because i feel that eating Christmas treats that small won’t hurt my chances of fitting into my skinny jeans. Those star toppings are TOO FREAKING CUTE. Next time I do mini tarts (which is…not too often, I obviously don’t have your patience) – I must do that. So pretty and delicious looking! These pies look absolutely delicious and the size is adorable. I love mince pies! I ate so many of them when i was in London last year. I love the stars that you included on yours. First of all, kudos on fitting in skinny jeans! I love the star on top, I’ve never seen little pies like this I love them. Love the story and about you and your sister! These are just so darn festive. Hope you have the Happiest of Holidays! OOOOH! I make mine the same, but my sides are higher and the star is smaller. I love the sugar on top… and I love them hot with ice cream. That is really yummy! And, yours are so pretty. Those are great looking pies! 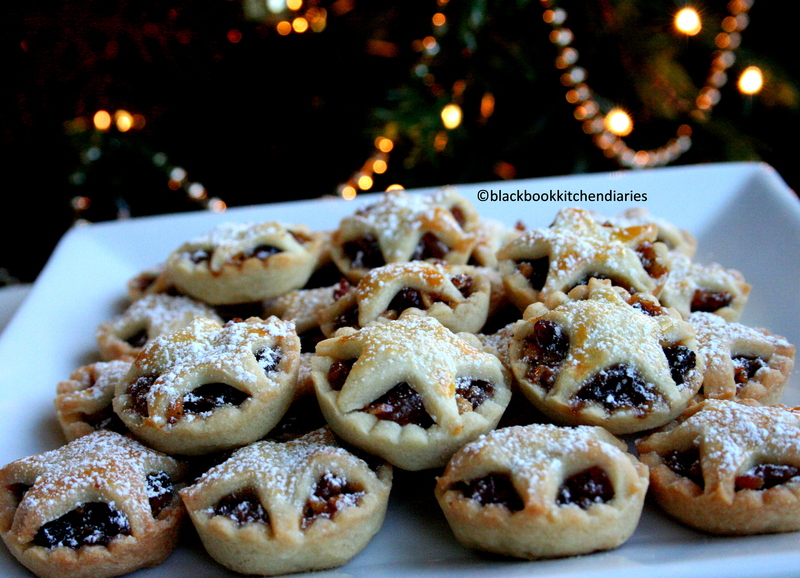 I’ve never had mincemeat but they sure do look delicious! They look very festive. Just perfect for the season. These mince pies have me all starry-eyed… Haha. I’m quite happy to tuck into 10 of these mini pies and then climb into my stretch denims. Forget the skinnies! I love those! So cute. Saw Jamie Oliver making some mince pies with puff pastry and phyllo…thought I’d try that next year. Now these are so adorable, I might have to make these this weekend! These are just darling! I can’t say I’ve ever had mince meat pie that I can recall, but in any case, with their star crust, they are just too cute. I love mincemeat, I always have. It’s wonderful and I can never understand why some people don’t like it. Your tarts are so pretty, what great photos! Can you believe that I have never eaten a mince pie? I am curious and would love to try yours. They looks so inviting! These are absolutely wonderful! My dad loves mince pie and all of us try to get one made every holiday season! This recipe sounds so good, and the way you made the minis is so inviting and festive! Awesome job! I’m inspired! The little pies are lovely! I’ve never made or eaten mince pie. I think I’ll have to make it a New Year’s resolution! Oh my goodness, these look positively stunning. I want one!!!! I love a good mince pie, there is something about them that is so homely and warming. These are beautiful and festive and so very Nigella! Yum! These mince pies have just reminded me of a friend of my mothers who used to make them just like this. It must have been 10 years since I’ve had them. Now I’ll have to see if I can make them as good as she used to…thanks for sharing! They look like Christmas perfection! Gosh, these are just so lovely! I love mini pies – It’s a comforting little dessert in smaller form, and perfectly cute and tasty for the holidays. 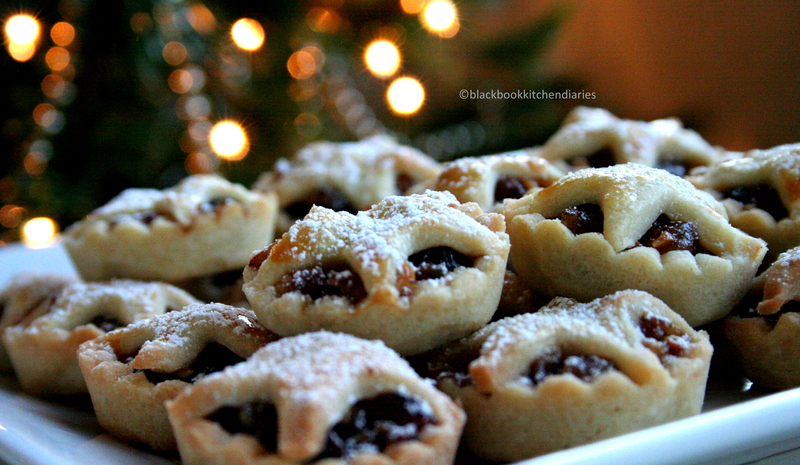 I made mini apple and cherry pies last month, but I love the idea of mince, too. Thanks for sharing! I’ve never been very fond of mince meat pies, but if I had some as cute and festive as these, I may change my mind! Cutest pies ever!!! I love the stars on top. Those are so, so pretty, and I bet they’re delicious! Perfect for the holidays! Cute little pies! I have never had mincemeat. What exactly is it? Yours look yummy. Beautiful! Have a wonderful Christmas! Cute little mince pies. Can you believe that I have never had mince meat? Love a good mince pie too & the mini’s are fabulous. Can you believe I have NEVER tried a mince pie? What a shame! I so wish I could sample one of these precious pies. The stars on top are stunning. What a lovely and petite Christmas dessert. Thank you for sharing such great treats with me. I hope your week is full of love, joy and good food! That is so stinkin’ cute! I love it!! I have never had or made mincemeat pies before, but they sure look festive and delicious! Your star topped pies look fantastic! I really like mini pies for the ratio of crust to filling, and the crust is crunchy all around. These sound so great! These are gorgeous! Love the presentation! They look absolutely delicious! Those are so cute! I love the star crust. I’ve never had mince pies before, but the way you describe them makes me feel…deprived? Like I am missing out at the least. I love, love fruit mince pies. Plus, I love Nigella. Could this combination get any better? No! So thanks to you for sharing it. By the way, well presented little pies. Mine are always messy little things. My mom always loved mince pie and perhaps for that reason – contrarian that I am – I never warmed to it, but these little mini pies are so huggably, squeezably adorable I think you have just changed my mind in a single post. I would like to gobble them up. I’ve made these lovely little Nigella pies before and they are the perfect bite sized treat – but how do you just stop at one? I made a holly-topped, crumbly almond scented version this year. Merry Christmas. Oh! 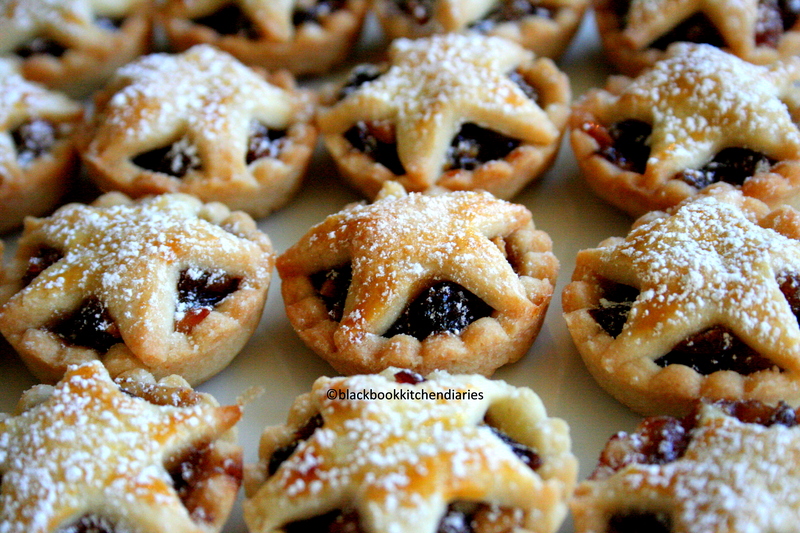 These little mince pies are so cute, specially with the star on it…perfect for the Holiday! I absolutely love your star topped pies. Definitely perfect for the season!